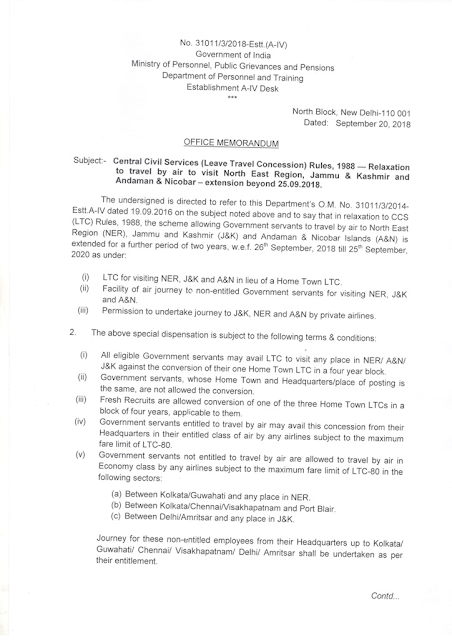 LTC for visiting NER, J&K and A&N in lieu of a Home Town LTC. Facility of air journey to non-entitled Government servants for visiting NER, J&K and A&N. Permission to undertake journey to J&K, NER and A&N by private airlines. 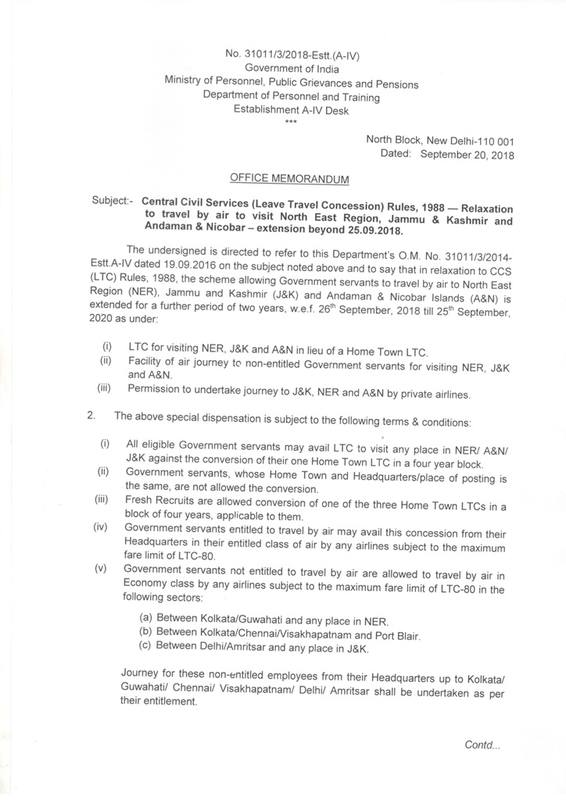 All eligible Government servants may avail LTC to visit any place in NERI A&N/ J&K against the conversion of their one Home Town LTC in a four year block. Government servants , whose Home Town and Headquarters/place of posting is the same, are not allowed the conversion . Fresh Recruits are allowed conversion of one of the three Home Town LTCs in a block of four years , applicable to them. 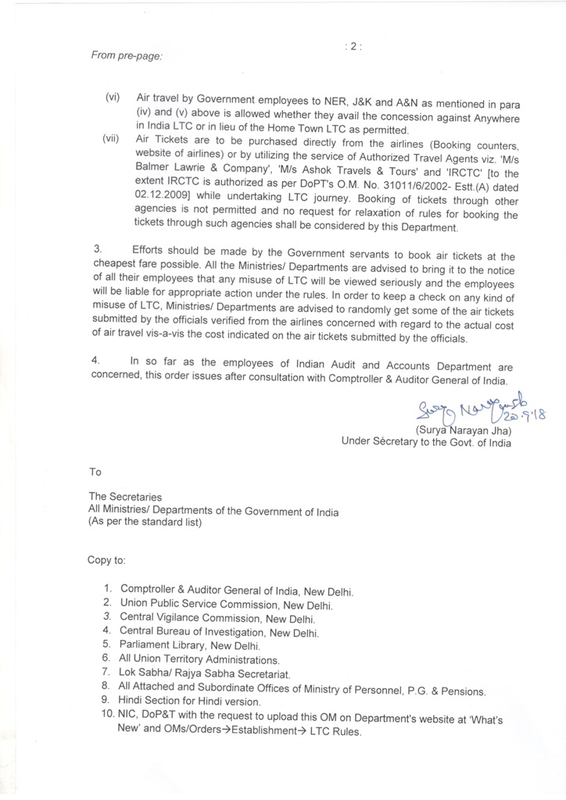 Government servants entitled to travel by air may avail this concession from their Headquarters in their entitled class of air by any airlines subject to the maximum fare limit of LTC-80.